As love for the roguelike genre continues to grow, a whole slew of developers are creating games that showcase one or more unique features in the hope of tempting the ever increasing fan base into buying their product. 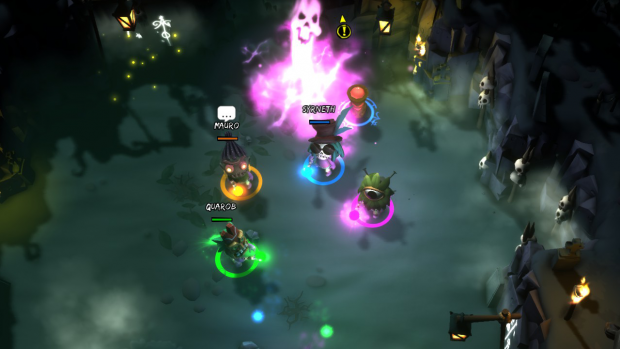 The latest offering of this kind is Full Mojo Rampage, a game that focusses on the lore and characters associated with the spooky world of voodoo. It’s basically a 3D, top-down (angled) twin stick shooter with the roguelike feature of permadeath and some unique and interesting approaches to incremental character progression. Unusually, it also has some fantastic local and online co-op modes that I’ll discuss later on. 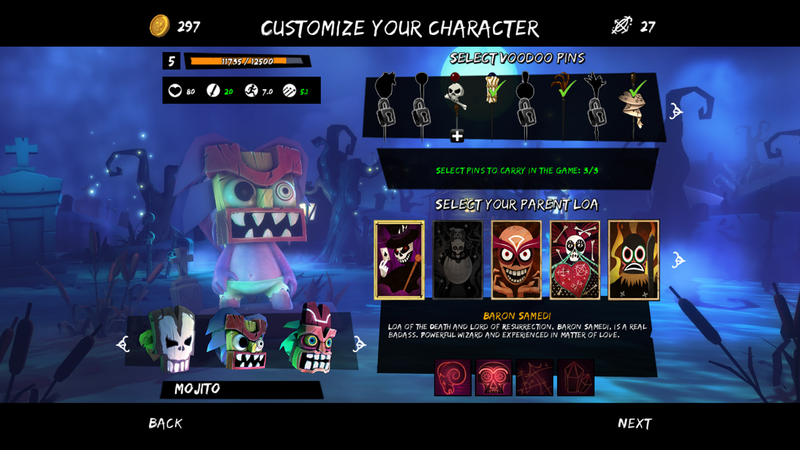 Initially, Full Mojo Rampage is quite confusing, and the character select screen is less than self-explanatory. Soon enough, though, it becomes apparent that the gameplay is incredibly simple, and like so many similar games, complexity is folded in through items (Mojos), buffs (pins) alignment to a deity (Loa) and character build. The game features a number of worlds, and each of those is split into themes, with a variable number of procedurally generated levels in each. Complete the task associated with each level, then reach the exit and you can progress to the next. Die, however, and you will be returned to the character select screen with any experience and gold gathered so far. Broadly speaking, these are the things that make Full Mojo Rampage unique, and together, they actually come together really nicely once they are understood in more detail. Character progression — Both the strength and weakness of most roguelike games is the fact that when you die, you die. All progress is lost, there are no checkpoints and no mid-level save games. That is still the case in Full Mojo Rampage, but all is not lost, because experience, gold and pins (a particular collectible) are retained for use in the next run. This progression model offers a nice middle ground between the toughness of traditional roguelikes and normal top-down shooters or RPGs. If I was to liken it to anything, it’s a bit like Diablo in terms of the way progression feels, although because you can’t retain the mojos you find, it is a lot more challenging to create a particularly focussed uber build. Rewarding and engaging — There are a lot of reasons to keep playing Full Mojo Rampage. There are tens of levels in the core mode, and as you progress through them, new abilities via leveling, pins and mojos will be opened up, as will access to more powerful Loa, which are the voodoo equivalent of Gods. The cycle of replaying levels is broken up nicely by the procedural generation aspect, and the inclusion of both local and online multiplayer is really nice. Another thing I like about Full Mojo Rampage is the style, as both graphics and sound are pleasingly complimentary, and certainly enhance the voodoo theme nicely. Also along these thematic lines is the inclusion of a range of side rooms that offer either store functionality or the ability to bless your character with a beneficial effect, usually at the cost of some debuff elsewhere. Fun with friends — Easily the most fun to be had in Full Mojo Rampage is in the cooperative and multiplayer modes, all of which are available both locally and online. Local multiplayer is a lot of fun with friends, albeit a bit chaotic. 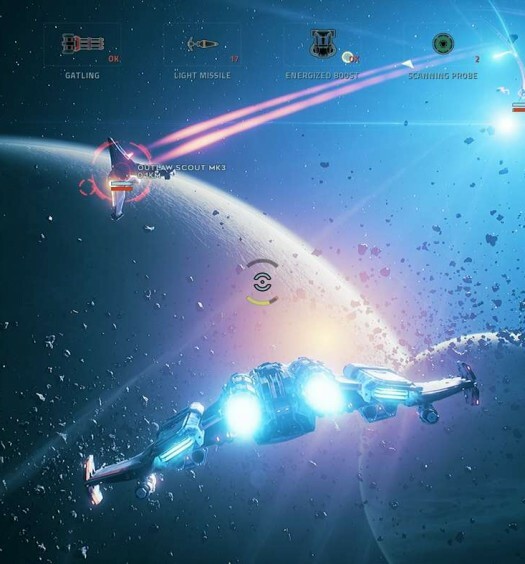 Playing prior to release, it was hard finding fully populated games in the online multiplayer. However, those I did find were fun when played with engaged and communicative players, especially in cooperative mode. Competitive multiplayer features a few standard modes like deathmatch and capture the flag, and whilst it’s not a key inclusion, it’s good to see that multiplayer has at least been considered. 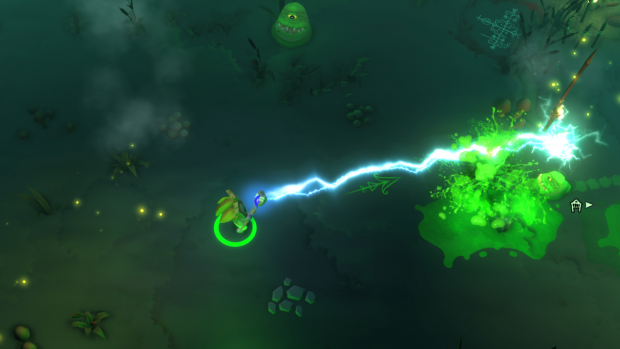 Out of steam — If I had to group a few criticisms of Full Mojo Rampage together, I would have to say that it feels as if it eventually loses momentum and becomes a bit of a grind. The volume of new and interesting discoveries begins to decrease, and the thrill of unlocking new worlds diminishes. The gameplay structure never really changes after all, and the visual style of each world is largely aesthetic only. However, there are some saving graces including a daily quest feature and an endless survival mode, as well as the various multiplayer features. 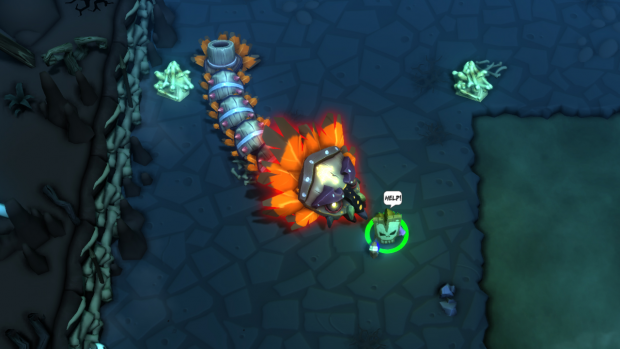 Hit and miss — For all the success of the basic quest mode and the cooperative multiplayer, Full Mojo Rampage isn’t always successful. Like all games that feature procedural generation, it can create slightly dud levels, and there is an element of luck baked into every new game. Boss fights can frustrate, and despite the changing aesthetic in each new world, the basic “voodoo” colour palette consistently reuses neon effects on a background of grey or grey-blue. Weapons, as is often the case in top-down games, do lack impact, but the problem diminishes quite literally as the player’s arsenal expands. I found Full Mojo Rampage to be quite enjoyable, and I certainly think that for less than $13, you could do a lot worse. Players who are completely new to roguelike games might appreciate the lighthearted style and relatively forgiving gameplay, but I suspect veterans of games like Binding of Isaac will find Full Mojo Rampage a bit lacking in challenge, even if there is some fun to be had from the inclusion of a fairly rare multiplayer mode. Full Mojo Rampage was developed and published by Over the Top Games and localised on Xbox One by Nicalis. It was released on June 28, 2016 for $12.99. A copy was provided for review purposes.